Please check your email for OTP verification. This is one time process. Your feedback, suggestions and advice about this website are welcomed. This would enable us to improve the quality and utility of this website. Academy For Excellence has been established with the aim of providing proper guidance to youths preparing for Indian Civil Services. The important point to note is that all the classes are conducted by former civil servant and renowned author, Dr.Vijay Agrawal, so that you could get the right and proper guidance. 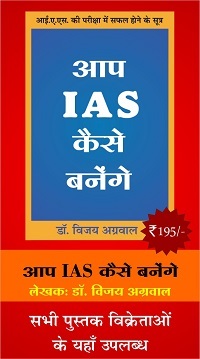 Dr. Agrawals’s book, ‘HOW TO BECOME AN IAS‘ is a milestone in this regard.